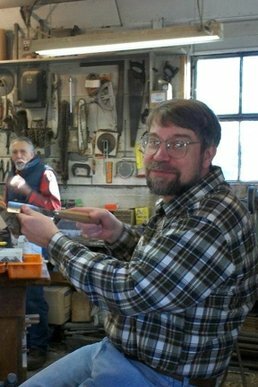 For over thirty years, Jim has been intrigued by wood; the grains, the colors, the textures. He combines this with a fascination for the human face and form. His love of wood and the beauty he sees in his subjects enables him to spend the countless hours necessary to create each piece. He feels an intimate bond takes place during the carving process. Details are important, but so is allowing the warmth and beauty of the wood to be seen. If colors are used, they are applied in such a manner as to enhance the subject and not disguise the wood's grain and characteristics. Jim and Diane are both mainly self taught carvers. 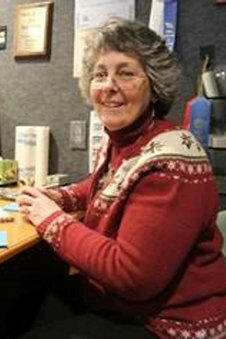 Jim's background in the lumber business and Diane's training in marketing make their union one of great team work and success as they run their Woodcarved Art Gallery and Studios. Check Out Our Gallery of Woodcarvings! What's New With Us ? As of Sept. 1, 2018, we have moved! and enjoy a change of scenery! and also continue to go to art shows around the country. to see our show schedule! The carving school, as we know it, has also closed. FB messenger, instructional videos and new project books. what becomes available as it happens. Congratulations go out to Cindy Wozniak from Streetsboro, who won our annual free raffle! Cleveland Botanical Garden! This is quite an honor for us! The exhibition was really a great experience and we enjoyed the botanical atmosphere. We had a great time back in January of 2014, when we did a week-long woodcarving demonstration for the children of the Timmons Elementary School, as a part of their art program. Timmons is a member of the Kenston Schools, in Chagrin Falls, OH. This was a really fun week for us and for the kids at Timmons Elementary. See the article about Jim & Diane 's walking sticks in OHIO MAGAZINE'S August 2013 issue! Step in STYLE, by Jill Sell. It talks about carving walking sticks as a form of folk art. Great pics there! To see it click this link! Check out our video interview with Wild Ohio Magazine! We would also like to announce that Diane Harto is the FEATURED ARTIST in the fall, 2012 issue of Wild Ohio Magazine! If you'd like to see photos of some of our other activity, click on this face book link and enjoy! If you'd like to contact us with comments or questions, you may use the handy e-mail form below.